The Vaporesso Tarot Baby 85W & NRG SE Starter Kit is a phenomenal vaping system that's powerful, travel-friendly and incredibly advanced. The visual design is exquisite. Plus, it provides a very comfortable grip. The chassis of the device boasts a large OLED display screen that's clear and crisp. Powered by the OMNI Board 4.0 Chipset, one of the most exciting features of the Tarot Baby is the highly responsive firing button that allows you to enjoy huge hits as soon as you touch the button. 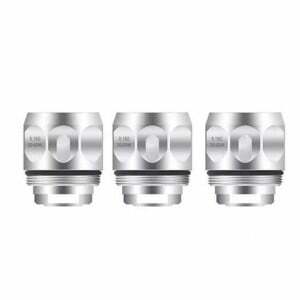 This kit also comes with the coveted NRG Tank SE that has a juice capacity of 4.5mL when the bubble glass is installed. Between its unique aesthetic design, impressive technology, wide array of safety features & protections and being portable, the Vaporesso Tarot Baby 85W & NRG SE Starter Kit is an irresistible setup from one of the best brands in the industry.